I have been reading this 1912 Zondervan book after I heard of it while reading another book about church history. This book was once the standard Bible study for the home and family. 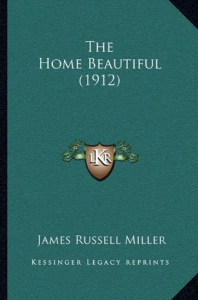 Miller writes like a Tozer or a Blamires but directs those insightful thoughts toward the members of the family. I think many modern counselors would profit from it.